For a small office, O365 is the way to go. You get desktop software, similar web apps for word, excel etc, sharpoint/Onedrive, exchange and excellent support. You get mor advanced controls over Gsuite. I've installed O365 for a couple of customers including Exchange. They work well. Just have to remember which subscription is tied to which email/password. I don't recommend SharePoint to small businesses, I'm looking for real world success stories using OneDrive. This customer as a non-profit will use donated O365 subscriptions. No support with donated software. Anyone out there happy with a OneDrive deployment for a small business? I have many posts on EE talking about O365 vs Gsuite. A small office can go from spending $1500 to $2000+ in maintenance fees plus paying for technical support to having no server and paying $15 to $30/month/user with tech support on those products included. 30 to 50 Mbps is plenty for a small office. One of my clients has 150 with a back up ISP at about 40 to the router and 20+ to any individual. 15 people with hosted VOIP and it is hard to tell the difference between the back up ISP and main. As far as security, all of office365 is HIPAA compliant https://www.microsoft.com/en-us/TrustCenter/Compliance/HIPAA This has come up for both medical and attorney clients. Where you can get tripped up on OneDrive is sharing files as if you had a server. The files could potentially end up on everybody's drive. However, if they stick with using files on demand, the files are streamed to the file system and it gives the visual appearance of being on a hard drive but it is in the cloud. This feature makes it easier for folks. Still, when used for sharing files as a team, there are advantages to using sharepoint. You said, "They just want a file server in the cloud." and that is what sharepoint is. If they are using Microsoft office, another feature of using OneDrive or Sharepoint is collaboration. You can have multiple people collaborate on a document and view in real time who is adding content. I found this feature to be more of a "wow" factor but not put to use very often. Thanks, Scott for the long post. I really appreciate it. It looks like you have a lot of success stories. The tips about one drive and SharePoint were very much appreciated. It appears this is an off-the-shelf solution and it's hard to add any of my own value to this. This looks like whoever comes in with the lowest price gets the work and it appears to be pretty much a one-time project. 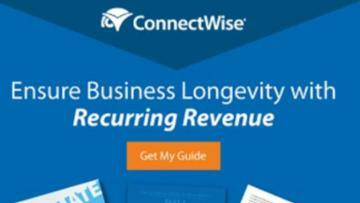 I don't see much in the way of recurring income from this type of customer. I think I'll submit a proposal because it interests me to do it once. I've done all the work on an O365 implementation except the OneDrive/SharePoint implementation. Thanks again. I'll award you all the points. The only drawback is you are fully expected to solve issues. I suggest that you don't go this route at first and use this small company as a testing ground for you. The reason is the support you get from MS is very good. It still needs to be set up correctly and figure 10 to 20 hours of set up and helping them with training. From there, you can either offer an hourly rate or some type of fee that will cover an average amount of hours per month. When they have an issue, have them contact you first. Then you can call Microsoft and work through the issue. MS will do a logmein session if needed and step through the issue. A small client like this will appreciate not having to do this on their own. For a small business, this has been the direction for a while now and it will be better to embrace it. You will see the partner program can be lucrative and in the end you may be able to get and manage more clients with less work yourself. When you sign up for a partner, they will provide you with a test account to play with and if your clients are smaller offices in the 3 to 30 users, it is worth pursuing. The hardest part is if they are in love with Google and getting them to MS. In short, MS gives you a lot more control and when you do need help, it is far superior. An advanced question to MS support gets answered by the same person that takes your call. An advanced question to GSuite support is taken by the tier 1 that will put you in touch with a higher level specialist that will call you back in 10 to 24 hours. Plus with GSuite, you get what you get, no fine controls. With O365, whatever is not available in the admin portal is available via powershell. Your third post was icing on the cake! I really appreciate the comments on how to charge and the realities of going down this road. Your welcome. I am glad it helped!